St. Martin's Press, 9780312591823, 400pp. Andi has spent much of her adult life looking for the perfect man, and at thirty-seven, she's finally found him. Ethan--divorced with two daughters, Emily and Sophia--is a devoted father and even better husband. Always hoping one day she would be a mother, Andi embraces the girls like they were her own. But in Emily’s eyes, Andi is an obstacle to her father’s love, and Emily will do whatever it takes to break her down. When the dynamics between the two escalate, they threaten everything Andi believes about love, family, and motherhood—leaving both women standing at a crossroad in their lives…and in their hearts. 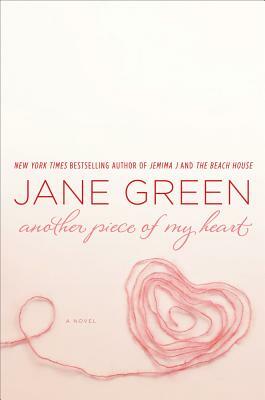 Jane Green is the author of twelve bestselling novels, dealing with real women, real life, and all the things in-between, with her trademark wisdom, wit and warmth. She contributes to various publications, both online and print, including Huffington Post, The Sunday Times, and assorted Anthologies. Passionate about both food and the home, most weekends see her cooking up a storm in her home in Westport, Connecticut, where she lives by the beach with her husband and their many children.